THURSDAY, June 23, 2016 (HealthDay News) -- Foods rich in fiber not only keep you "regular," they may help you live longer without disease, new research suggests. Among more than 1,600 Australian adults, the top fiber consumers were 80 percent more likely to remain fully functional and disease-free as they aged, the study found. Fiber-rich foods include fruits and whole grains. "Our observations need to be confirmed by other large studies, and we can't make recommendations at this stage such as pushing for a more plant-based diet," said study lead author Bamini Gopinath, an associate professor in the University of Sydney's Westmead Institute for Medical Research. Her Australian team only found an association rather than a cause-and-effect link. Still, Gopinath and her colleagues weren't surprised by the findings, "given that there are numerous studies showing fiber's protective influence against a host of chronic diseases," she said. "Successful aging" was defined in the study as the continued absence of physical disability, depression, breathing problems, or chronic health issues such as cancer, high blood pressure, diabetes or heart disease. "People can achieve the recommended intake of fiber consumption -- around 30 grams per day -- by eating a wide range of foods such as whole-grain breads and cereals, fruits, vegetables and legumes," Gopinath noted. The researchers tracked the study participants, who were 49 years and older, for a decade starting in 1994. At the start, all were free of cancer and heart disease. Surveys assessed dietary routines, with a specific focus on fiber, carbohydrates and sugar intake. By those measures, the study team concluded that 15.5 percent of the participants had aged "successfully" over the 10-year time frame. By contrast, those whose fiber consumption was pegged at below-average levels were least likely to have aged well. Blood sugar levels and the impact of carbohydrates on blood sugar levels did not seem to play a role in how successfully people aged, the team noted. The researchers also found that only 25 percent of study participants were meeting daily fiber intake recommendations. Gopinath said this accurately reflects general population habits. Certain fruits and vegetables contain more fiber than others, said Lona Sandon, an assistant professor of clinical nutrition at the University of Texas Southwestern Medical Center at Dallas. Tops on her list are nuts, seeds, beans, avocados, strawberries, raspberries, blueberries, oranges, carrots, leafy greens, corn, peas, popcorn, bran cereals and oatmeal. "A plant-based diet is the best way to go to get the fiber your body needs for optimal health," Sandon said. But what exactly is it about fiber that promotes longevity? "Based on our study we can't exactly pinpoint as to how fiber influences aging status," said Gopinath. But she said that her team speculates that fiber may affect blood sugar levels, minimizing inflammation throughout the body. "Inflammation is a key factor in aging and many chronic conditions. Also, fiber is known to increase satiety, which is likely to explain some of its health benefits," she explained. Sandon added: "What makes fiber so beneficial is up for a great deal of debate, and it is probably more than one thing." 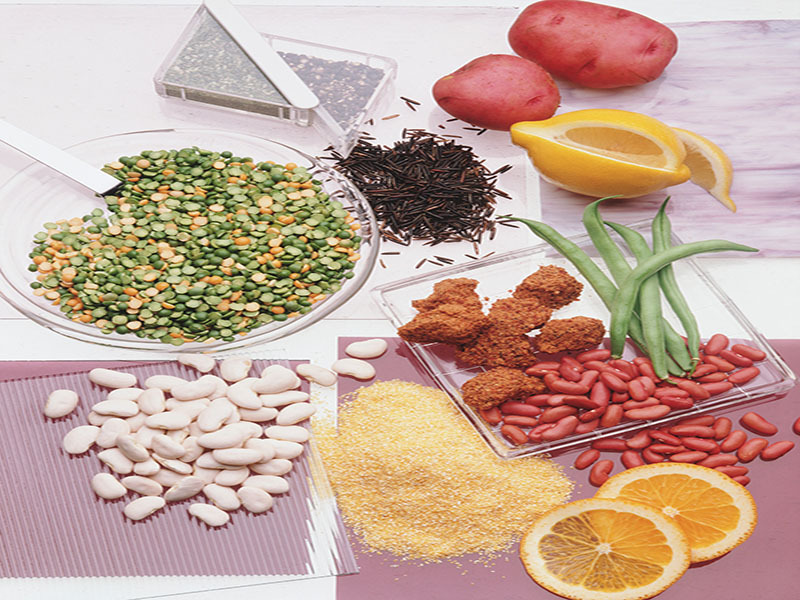 For one thing, not all fiber is the same, she said, noting soluble and insoluble dietary fiber have different functions in the body. "Different fibers also provide food for the bacteria in the gut," Sandon added. "These bacteria may produce substances that help promote health such as hormones that help regulate appetite and blood sugar." The study results were published recently in the Journals of Gerontology.